« Night of the Lepus– the real deal! on April 30, 2010 at 12:56 pm M.R.S. Oh, really? Tell that to the guide dogs, assistance dogs, tracking dogs, search-and-rescue dogs, police K9s, firearms/drug/arson/explosives detection dogs, hunting dogs of many kinds, all-purpose farm dogs, herding dogs, vermin killers, livestock protection dogs, and many others …who perform valuable work for humans, many times work that a human simply cannot do. And are “emotional benefits” something of minor importance? Tell that to the PTSD veteran who relies on a Pyschiatric Service Dog, or the patients who are calmed and encouraged by a full-time Hospital Therapy Dog. Ys, there’s a huge number of dogs who never get to fulfill any of those purposes. (blame their owners). But let’s not belittle the entirety of dogdom! But ecologically, it is true. Very interesting post. It’s most interesting that even minor roadways are enough to keep the snakes from crossing. When I lived farther up the coast in CT, we always saw snakes crossing the roads. It made for a very interesting bike ride. I guess the population up there is okay for now, at least I hope so. I live in eastern Kentucky, less than 20 miles from the borders of both Virginia and West Virginia. In the region where I live, you do not see too many timber rattlers crossing roads. Not paved roads anyway. They tend to stay higher up the mountains, where the terrain is more rocky. 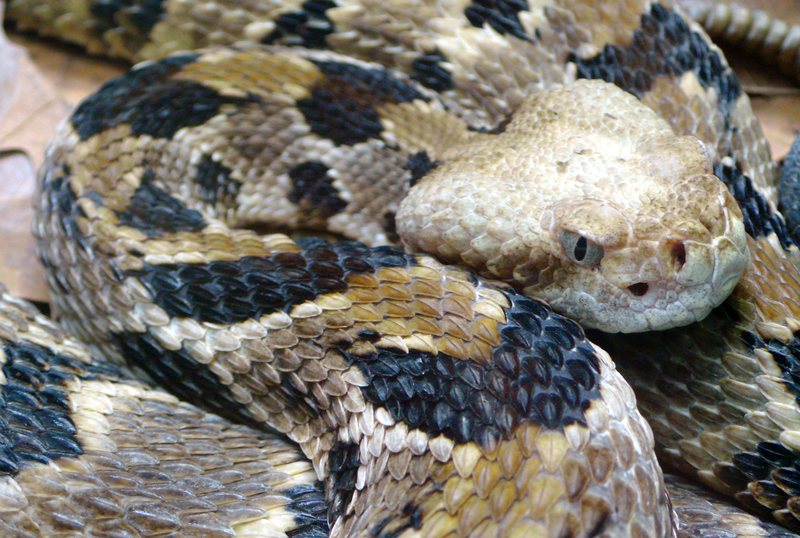 Copperheads and the occasional Eastern Diamondback Rattlesnakes are sometimes killed on highways, but except during a drought, or the driest part of summer, when they come down to the creeks looking for water, you don’t see very many timber rattlers. I see them sometimes when I’m hiking, or picking berries – or more accurately, I hear. A melanistic phase is fairly common here too. So you live where there are elk? There are timber rattlers in WV. They are our state reptile. And we have no legal protection for them! Yes. They would technically be called endangered. You know these animals are a symbol of our nation. You know the flags that say “Don’t Tread On Me”? The snake on them is the timber rattlesnake. Yes, we have lots of elk here. In fact, they had to build a tall fence to keep elk off the runway at the Pikeville (KY) airport (which is a tiny little airport on top of a mountain). I see them from time to time in the early morning as I drive to work. They often browse the edges of meadows along the recently completed, undeveloped section of US 119.
having created the problem (roads), purists will object to a man-made solution (transferring one group of snakes into another territory during hibernation.) Nope, the “non interference rule” seems to apply. And it’s true that interference can often lead to bigger problems than the one they solve, but it does seem that it would be possible to allow transfer back and forth if it’s really roads that are the problem. It does seem, however, that occasionally, interference is beneficial and folk ought to consider it. I should see if I have a picture somewhere….